What a location! This Story Place home is situated on a level 86’ x 143’ corner lot with a nice two story home w/basement and detached 2 car garage. The home is designed as 8 rooms: 4 bedrooms; 1 1/2 baths; a large family room with hardwood floor & fireplace; an eat-in kitchen w/top & bottom cabinetry; formal dining room w/built-in china cupboard and hardwood floors; den w/built-in book cases; bedroom w/ book cases, closet & 1/2 bath; upstairs offers 3 bedrooms and full bath w/shower over tub; the basement has concrete floor w/block foundation, gas fired boiler & 200 Amp breaker box. 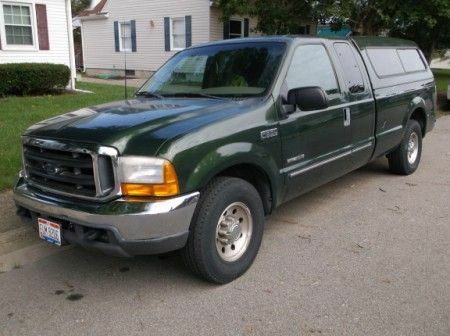 2000 FORD F-250 Super Duty Diesel, V8 Power Stroke XLT, automatic, green exterior w/beige cloth interior , extended cab, power windows, locks & mirrors, knee deep in rubber, w/beige cloth interior, AC, CD player, showing 132,748 miles. Appliances: Washer; Whirlpool front loader dryer; white Whirlpool top & bottom refrigerator & freezer, electric Frigidaire self-cleaning oven & range; Krups coffee maker; Kitchen Aid grinder; Toshiba TV; 13” portable RCA TV; storage racks; kitchen glassware; pots & pans; casserole dishes; stainless steel flat ware; Cutco knives set; Longaberger coffee cups; Christmas decorations; board games; wide range of old license plates. Tools: Hand tools & power tools (saws, sanders etc. );CRAFTSMAN tool box 6 drawer w/CRAFTSMAN tools; ALLIED tool set & case; SNAP-ON KRP 1000 roll cart; Shop-Vac 5 gal. 2.0 HP, Harley motorcycle parts. Sporting Goods: Tennis racket; fishing crank baits; heavy duty folding ping pong table; snow skis; water ski’s; Weider weight bench & weights. Lawn & Garden: Lawn & Garden Tools; Werner 20’ aluminum Ext. ladder; Huskee yard & garden cultivator 31 cc, gas powered; True Temper wheel barrow; concrete bird bath w/shell top; patio furniture (love seat, 2 rockers, lounge chair, glass top table). 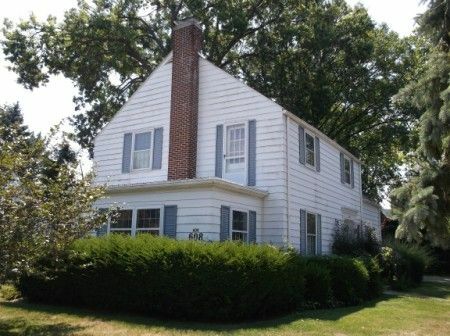 Real Estate Terms: $56,000.00 minimum bid, offered free & clear of liens or mortgages prior to closing on or before October 15, 2012, Sherri K. Rutherford, Atty., conducting closing, 95 West Main St., Chillicothe, OH 45601, 740.775.7434. Taxes prorated to day of closing, no buyer contingencies, sold in its present AS-IS condition, $6,500.00 down at time of sale payable in cash or check with photo ID. Personal Property Terms: No Minimums or reserves-sold at absolute auction; cash or check w/photo ID; payment in full at time of sale prior to removal; sold as-is, where-is, w/all faults. All information provided is to be utilized only as a guide. Buyers are responsible to conduct any inspection, inquiry, investigations and due diligence regarding to property. Buyer agrees and understands that the seller makes no warranties or representations of any kind either expressed or implied as to the condition, quality, and merchant ability of fitness for a particular purpose of the real estate or any part thereof and/or serviceability for the same. Buyer is buying property subject to any and all easements, leases, covenants and restrictions. The agreement of auction is solely between buyer & seller. Stanley & Son, Inc. and its agents are exclusive agents of the seller. Personal Property Terms: Cash or check with photo ID, paid in full day of sale; all merchandise must be removed day of sale. Any announcements made only by the auctioneer from the podium during the time of auction will take precedence over any previously printed material and/or any other oral statements made or implied. No liability exists regarding the information contained in any printed matter for its accuracy, errors or omissions. Bidding is open, just call out, raise your hand or watch the ring personnel…they will assist you and try to get answers to any questions you may have prior to bidding. Statute of Limitations: Any action or suit of any kind must be commenced within one year from the date when the cause of action or suit occurred or it will be forever barred. The Right of Action or suit will begin to run on the date of breach, damage or injury is sustained & not when the resulting cost, damage, harm or loss is discovered. This Agreement will be exclusively construed & governed in accordance with the laws of the State of Ohio, without regard to its conflict of Laws Principles. The exclusive jurisdiction & venue for any controversy or claim between the parties shall be the State of Ohio, County of Ross, City of Chillicothe, by binding arbitration. With regard to personal property at the auction: The Auctioneer has arranged the merchandise for the auction and directs that it not be altered, moved or disturbed in any way by any person other than normal inspection at the spot where the merchandise is located. The auction staff will assist anyone who has a question or request about a lot or item. Any instance of theft or vandalism will be prosecuted to the fullest extent of the law. Taxes & Legal: Net Annual Tax: $2,154.50; Ross Co. Auditor Parcel No. 305327004000; Ross Co., Scioto Twp., Deed Vol. 536 Pg.215; James M. & Doris A. Renison Estates, RCPC Case #2011-E-366 & 2011-E-367, Casey Michael Renison, Admin., Sherri K. Rutherford, Attorney at Law, 740.775.7434.